Is It Better to Take Individual Supplements or a Multivitamin? 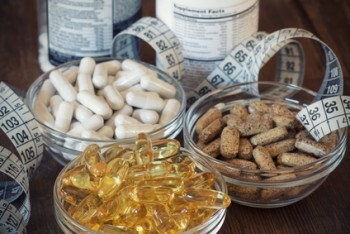 Blog Home » Multivitamins » Is It Better to Take Individual Supplements or a Multivitamin? You’ve probably heard about the disease-preventing abilities of certain vitamins and minerals. So you may wonder if it is better to take supplements, such as vitamin C, vitamin D, and calcium individually or if it is better to take a multivitamin, which includes all necessary vitamins and minerals into one package. Did you know that each nutrient you ingest affects a number of other nutrients in your organism? For example, in order to maximize the absorption of calcium it is recommended that you take it with vitamin D. Where it gets tricky is that high absorption of calcium may actually lead to depletion of the magnesium in your body. The possible side effects of magnesium deficiency include loss of appetite, nausea or even heart failure. To avoid this unpleasant scenario, careful balancing between all nutrients is required. This is automatically done for you when you take multivitamins, which usually include all necessary vitamins and minerals in the correct ratios to each other. Taking vitamins separately is much more expensive than taking a multivitamin. There are 13 vitamins and 14 essential minerals. If you had to buy 27 different products, the cost of your supplements could end up being several times higher than simply buying a multivitamin. Cost aside, taking 27 tablets a day is impractical. Ingesting that many tablets can easily take 5 to 10 minutes each time. Oh, and let’s not forget the water involved. Let’s say you need 100 ml of water for every tablet you swallow. In that case you would probably end up using about 2.7 litters of water resulting in bloating, diluted electrolytes, loss of energy and the dreaded frequent trips to the bathroom. In comparison, taking one to four multivitamin tablets a day sounds so much easier. Individual supplements usually contain more than 100% of the Recommended Daily Allowance of the nutrient. Taking high amounts of supplements over prolonged periods of time may cause certain side effects. Water-soluble vitamins, such as vitamin C and the B-complex vitamins are excreted through your urine on a daily basis and are generally considered safe. However, fat-soluble vitamins, such as vitamins A, D, E and K, are stored in your organs and can stay in your body for up to 6 months making overdosing more likely to occur. It is also relatively easy to overdose on minerals. Zinc overdose, for example, can cause multiple side effects including nausea, drowsiness or loss of muscle coordination. Zinc can also interfere with iron and copper absorption which can lead to anemia. When is comes to vitamins and minerals moderation is key. As we mentioned before there are 13 vitamins and 14 essential minerals. Let’s face it; you’re not going to take 27 tablets a day. Most likely you will take a few vitamins and minerals that have recently been hyped in the media and simply ignore the others. There is no such thing as an unimportant vitamin. A deficiency in any given vitamin or mineral can lead to serious medical conditions over time. Don’t be blindsided. Taking individual vitamins is like buying house insurance for fire damage then declining protection against water damage, vandalism or natural disasters. Do the smart thing and get yourself a comprehensive insurance by taking a multivitamin. Additional supplementation with individual vitamins may make sense with certain medical conditions. For example, if you suffer from anemia, your doctor might advise you to take an extra iron supplement of up to 100 mg a day in addition to your multivitamin. However, taking extra iron without a valid medical reason may be dangerous. If a healthy person takes 100 mg of iron a day, they may develop secondary hemochromatosis, a condition which may cause liver damage and heart problems. Unless you understand all possible interactions and side effects of a particular supplement, take it only after consultation with a physician. Taking an individual supplement should be treated as taking a prescription drug. Taking a multivitamin, on the other hand, is much safer and does not expose you to a risk of overdose and nutrient imbalance. In summary, we believe that taking multivitamins is the more sensible option. Not only are they cheaper and more convenient to take but they are also safer. The carefully balanced amounts of vitamins and minerals they contain enable you to maximize the nutrients’ absorption and provide you with a comprehensive insurance against a wide range of possible maladies.